Please email me at: carynmoyablock@gmail.com , so I can get your address. I will be autographing your copy, so let me know who that special person is. Thanks so much for entering and leaving a comment! My good friend, Terry Spear, at the Sourcebooks signing. 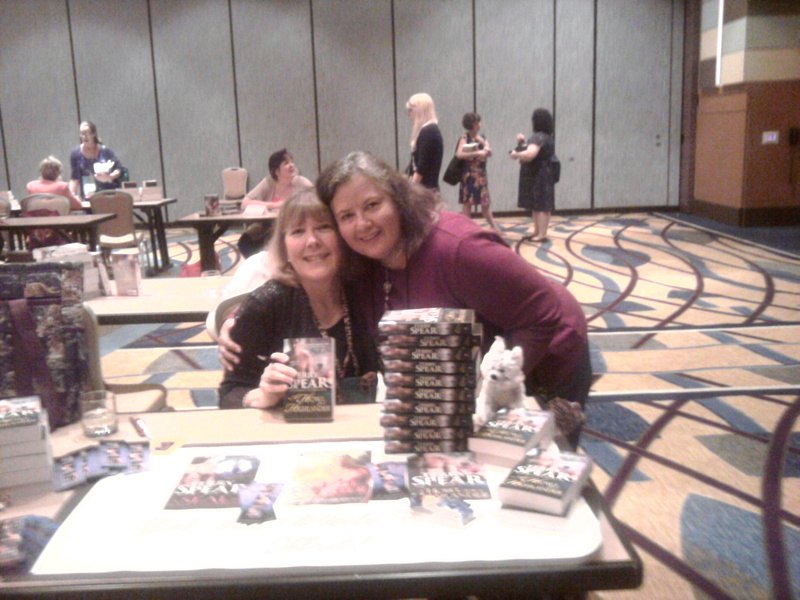 Today on Terry’s Blog she is featuring pictures of me and telling stories of what happened at the Romance Writers of America conference in Atlanta. I had the pleasure of rooming with Terry and meeting a bunch of wonderful authors. We joked about the stories we could tell about each other. Terry shared that she has a problem getting lost. So I will share a secret too. I love to dress up! 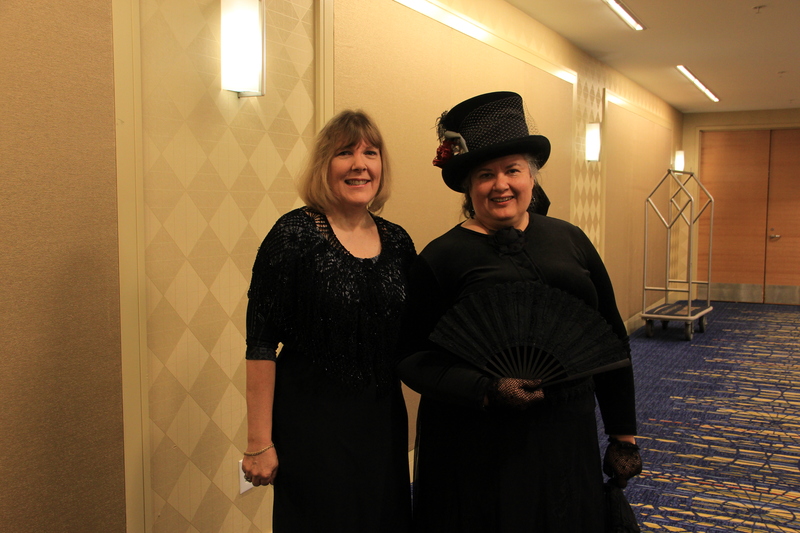 Here is a picture of the costume I wore at the FF&P chapter dinner. I won the contest. I think it was the hat. 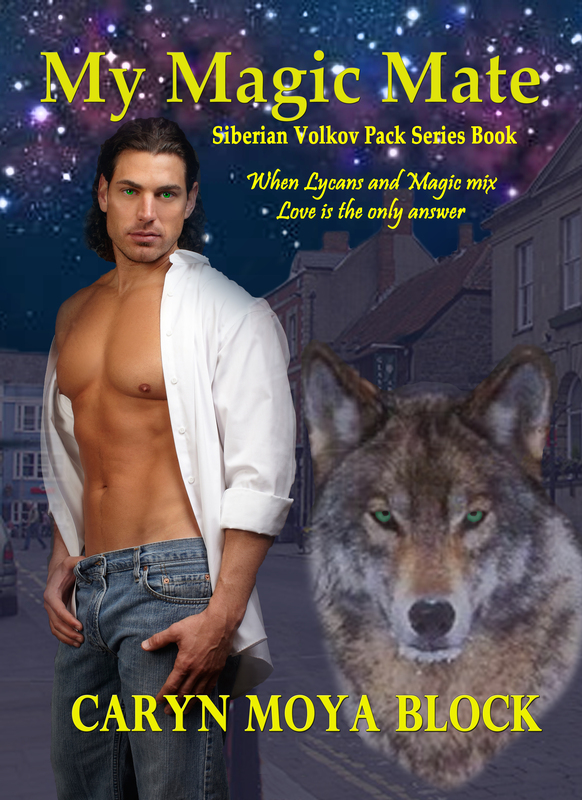 For more pictures and a chance to win a free autographed paperback copy of “My Magic Mate” head over to Terry’s Blog and leave a comment.